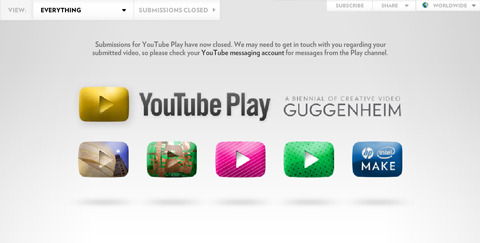 The Guggenheim is collaborating with YouTube and inviting submissions from artists anywhere in the world, with hundreds of shortlisted videos to be featured on their website. Read the UK’s Guardian newspaper article here. Its an exciting time to see how cultural institutions choose their method of reaching a broader public, and particularly how far the offer of authorship extends when inviting the public to contribute, choose content and vote.